NEWTOWN CREEK - Carpenter & Paterson, Inc. Located in Brooklyn’s Greenpoint community, Newtown Creek is the largest of the 14 wastewater treatment plants in New York City. The Newtown Creek plant serves about one million people and covers an area of about 15,000 acres. 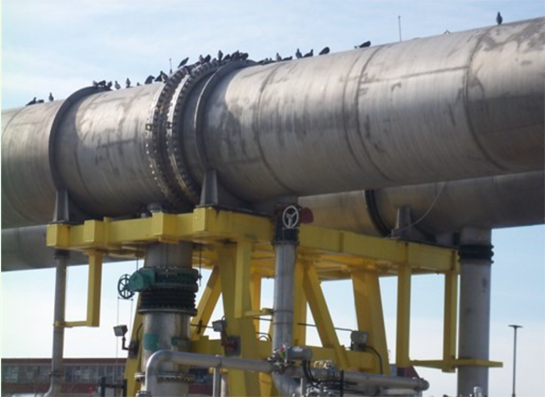 The plant has a capacity to treat 310 mgd (18% of the city’s wastewater) during dry weather. The stainless steel cladding on the “egg” digesters offers exceptional corrosion resistance, important quality in a facility that processes 1.8 million gallons of sludge per day. The biggest challenge was designing the supports for 62” Odor Control piping (See photos). 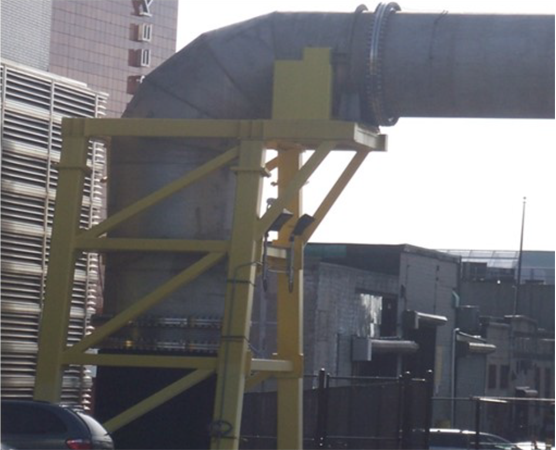 The Odor Control system pipes outside location, elevation and roughing, presented a complex Stress Analysis to determine the pipe support load and movement required to anchor, restrain and allow expansion and contraction due to process and environmental conditions such as wind, snow and seismic conditions. All large diameter Type 316 Stainless Steel slide supports and guides were fabricated at Bergen Pipe Supports Donora, PA manufacturing facility. 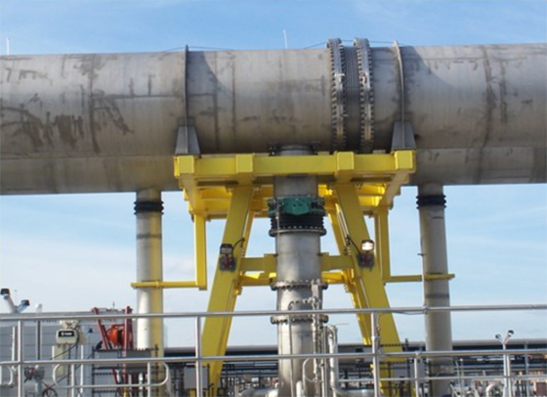 All the designs, calculations and fabrication were reviewed by C&P’s Professional Engineer, thus taking the total responsibility for the design and fabrication of all supports and hangers in the project. > Scope: Over 11,000 supports including 62” Odor Control piping.